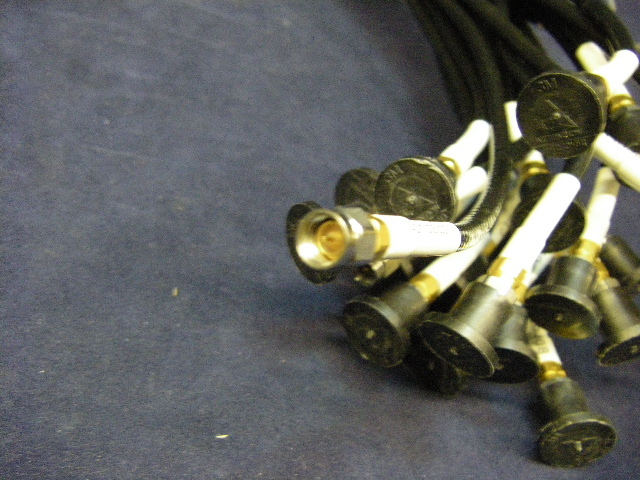 All cables are in stock and available for immediate delivery. Overnight delivery is available to most USA destinations. BA 50141coax cable 50 Ω rigid copper (141) various mfg. ** 6 ft lengths -new surplus- (State min. length desired) Shipping costs increase for longer min. lengths. 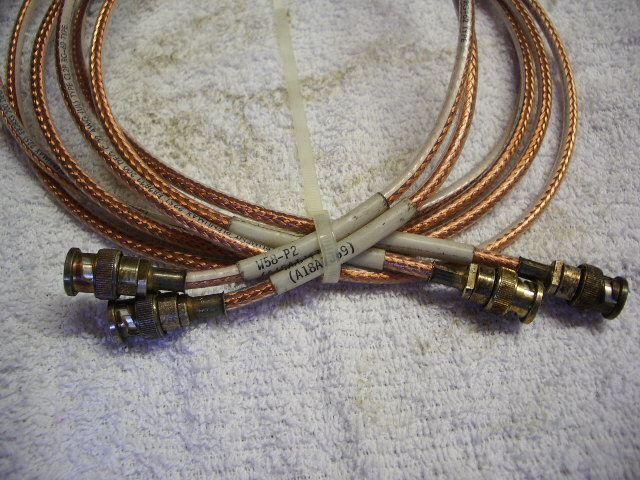 BA 50141coax cable 50 Ω rigid copper (141) various mfg. 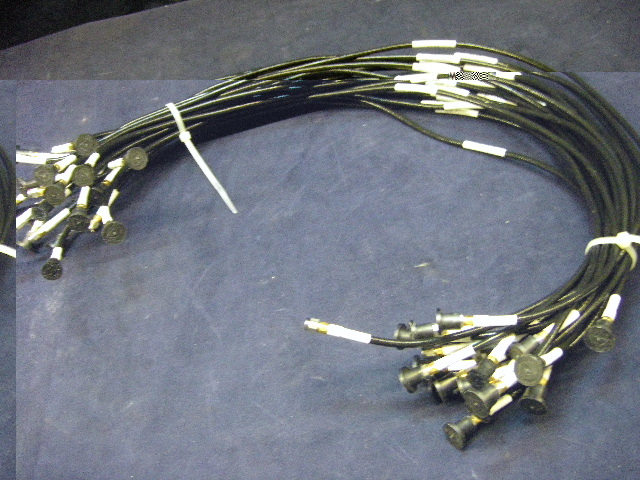 ** 8 ft lengths -new surplus- (State min. length desired) Shipping costs increase for longer min. lengths. 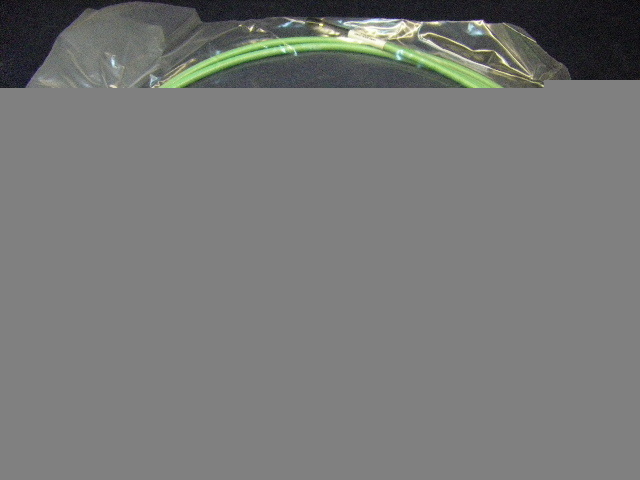 BA50141coax cable 50 Ω rigid copper (141) various mfg. ** 10 ft lengths -new surplus- (State min. length desired) Shipping costs increase for longer min. lengths. 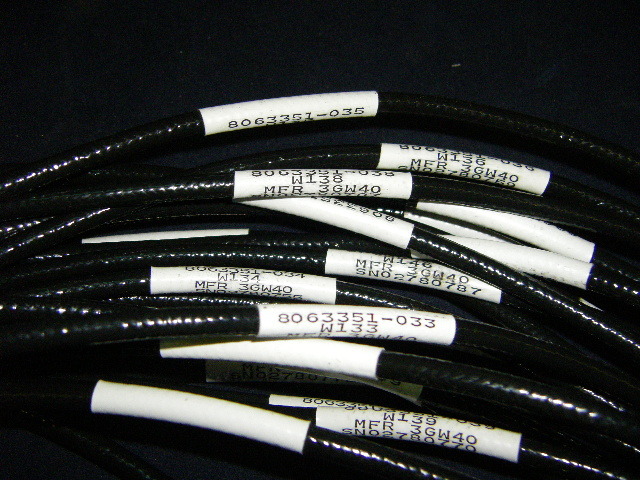 SPO451-99-M-5678 Adams Russell Co. type TNC (m) (m) SOCN675-20133-578 phased array cable assy. 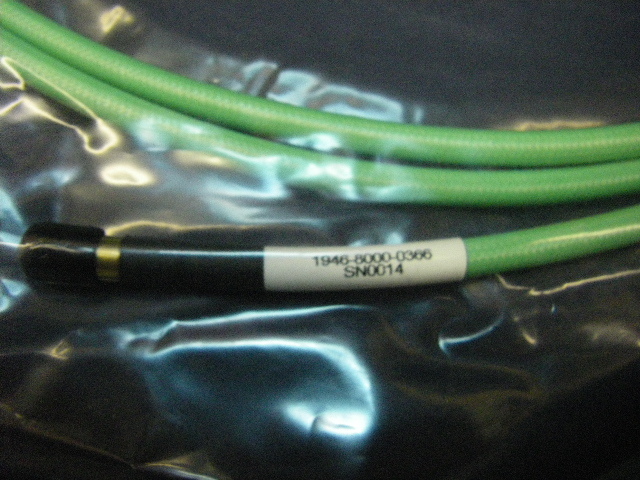 5061-9021 Agilent 0-5023 smb cable LM911 16"
K118 is a 1.5 meter length of 3.00 mm (0.118 inches) semi-rigid coaxial cable for use with K101F and K101M connectors. $125 ea. (plus $25 flat shipping for any quantity) 46 pieces. avail. 7RG025948-41 CHG- unk. 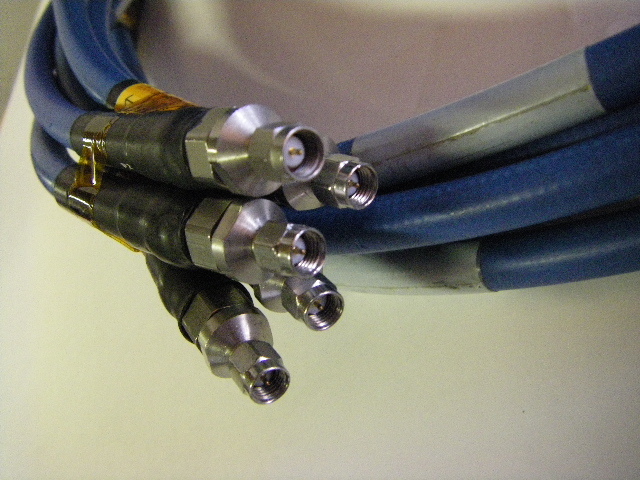 Triaxial cable -image- approx. 75 ft.
F342VV1200A2 Flexco 52214 RED 10 ft. long Type N cable NEW! 0K0CQ0CQ204.0 Gore 3.5 mm m/m NOS 204"
6D0BQ0BQ084.0 Gore 3.5 mm m/m NOS 84"
A3N01N01054.0 Gore-Tex Type N 54 inch SS armored cable open pkg. 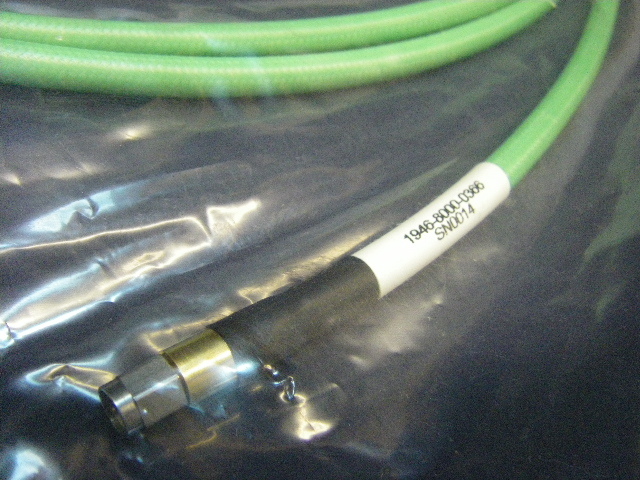 G2SO1SO2096.0 Gore-Tex sma (f,m) 96 inch cable NEW in pkg. K2SO1SO1144.0 Gore-Tex sma 144 inch armored cable in pkg. R2SO1SO1408-0 Gore-Tex sma 408 inch armored cable NEW! open pkg. 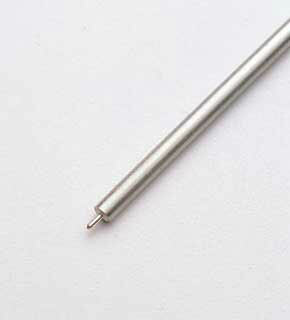 T3N11N01036.0 Gore-Tex Type N 36 inch armored cable (one 90 deg.) open pkg. 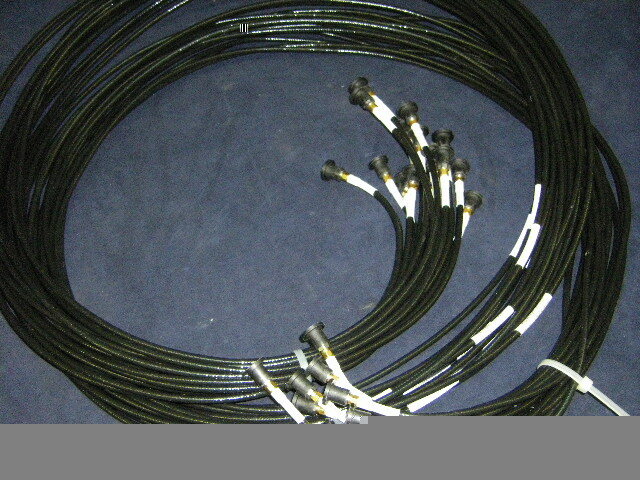 UFA210A-0-9000-300300 Micro-Coax 3A115-001V-001 new surplus 900 inches - 75 ft.